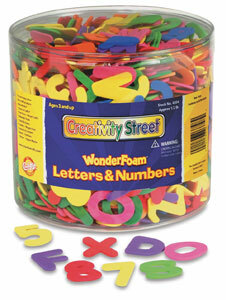 This is a half-pound tub of fun WonderFoam letters and numbers! The letters and numbers are thick enough to be handled easily by small hands. They're a great tactile learning tool. Tub contains approximately 1,500 pieces.